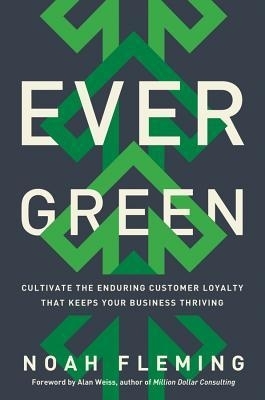 “Evergreen: Cultivate the Enduring Customer Loyalty that Keeps Your Business Thriving” by Noah Fleming (AMACOM, $26). Fleming lays the foundation for customer-centric principles with “3 C’s” — character, community and content. All of the 3C’s involves two other C’s, connection and consistency, which entrench customer loyalty. Character embodies the personality of the brand. It presents the traits that shape the perception of products and services. That perception starts with your company’s stories. These deal with the who and why of the firm. They explain the what and how behind the company’s vision, commitment and purpose that makes it unique. To craft your stories, Fleming provides a series of questions; your answers write your story. The stories aren’t just for the customer. They’re for your employees; the company’s stories remind them that how they do their jobs reinforces the customer’s perception of your brand. He offers a word of caution about creating community: Don’t think just in terms of obtaining feedback; provide information and things that bring community members together. Example: Ferrari Chat provides an online communications forum for Ferrari owners. It’s the go-to place to post event information and tech and restoration questions. This community also includes service providers that connect their expertise. “Content is the core ‘thing’ that the customer receives in exchange for money.” Most companies believe that content is the only thing that keeps customers coming back. Far from it. An engaged-customer experience requires the support of character and community. Without continuing customer involvement, a business becomes transaction-based. Only relationships create loyalty. Chapter 7, “Getting Loyalty Programs Right,” alone is worth the price of the book because of its counterintuitive approach to loyalty programs. Most of these focus on rewarding their best customers. Yet, when it comes to ROI, the best customers offer diminishing returns because they’re already using the product or service. While the best are important to maintaining community, they’re only the tip of the iceberg when it comes to expanding community — and profits. Not-so-loyal customers offer a higher return on investment because their use of content can grow. Starbucks realizes this. Like all loyalty programs, it tracks and categorizes members by spending, number of visits, products purchased, etc. Based upon the data, Starbucks creates specific marketing programs for the not-so-loyal and can tailor the programs by store. Fleming discusses the loyalty ladder. It has multiple rungs, so the customer wants to climb. The airlines got that part right. The part they got wrong was making it difficult to use the perks. But it’s not all about the perks; there should be intrinsic rewards. Fleming cites a restaurant that offers a members-only menu along with its regular menu. The members are recognized and nonmembers see that signing up for the loyalty program has a benefit. You also can sell loyalty. Amazon Prime is an example. You don’t have to be Amazon. A craft brewery/restaurant near me has a $20 Mug Club; there are Mug Club-only events every month.